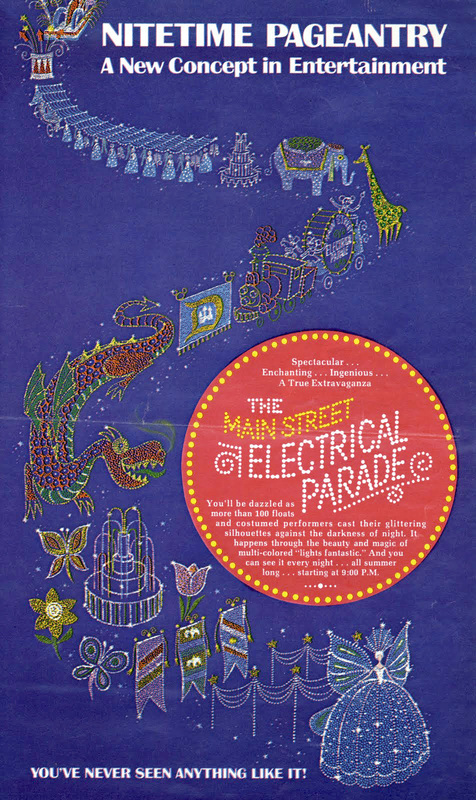 The Main Street Electrical Parade is a regularly scheduled parade, created by Bob Jani and project director Ron Miziker, famous for its long run at Disneyland at the Disneyland Resort most summers between 1972–1974, 1977–1982, and 1985-1996. It features floats and live performers covered in thousands of electronically controlled lights and a synchronized soundtrack triggered by radio control along key areas of the parade route. 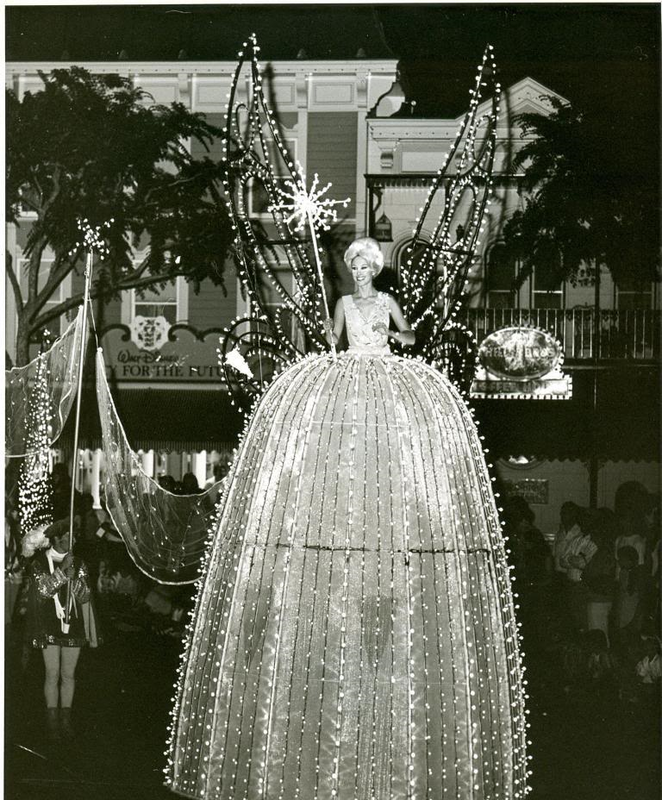 The parade has also spun off many other versions that ran or continue to run at Disney parks around the world. 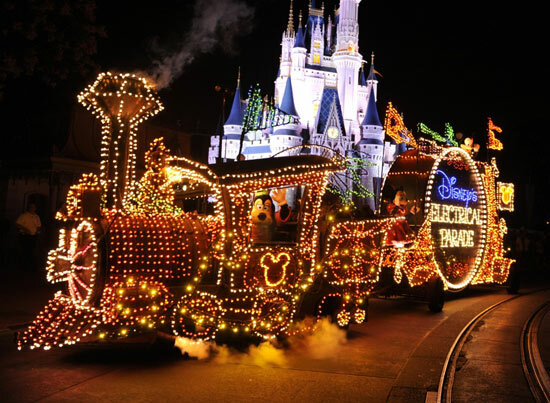 Currently, the original parade runs at the Magic Kingdom at Walt Disney World as Disney's Main Street Electrical Parade. In honor of the MSEP, the new Paint the Night parade now runs at Tokyo Disneyland in place of the former Tokyo Disneyland Electrical Parade: DreamLights. The parade is notable for its use of the vocoder voice effect, saying these lines just before the parade begins: "Ladies and gentlemen, boys and girls, Disneyland proudly presents our spectacular festival pageant of nighttime magic and imagination in thousands of sparkling lights and electro-synthe-magnetic musical sounds. The Main Street Electrical Parade!" Near the end, it repeats, "Disneyland's Main Street Electrical Parade!" The predecessor to the 1972 Disneyland Main Street Electrical Parade is the Electrical Water Pageant, a show made up of fourteen 25-foot tall screens with electrical lights placed on them. The screens are placed on a string of seven barges that travel around the Seven Seas Lagoon in front of the Magic Kingdom at the Walt Disney World Resort, beginning at 9 p.m. at Disney's Polynesian Resort or immediately after the fireworks if they are scheduled for 9 p.m. The Electrical Water Pageant still shows today and has done so since October 26, 1971, just weeks after the Walt Disney World Resort opened. In 1972, when the Main Street Electrical Parade debuted, some of the floats were flat screens on rolling platforms similar to the Electrical Water Pageant. The engineers who helped create the parade also created the first show-control program in existence. This allowed the 2,000-foot long parade route to contain multiple radio-activated "trigger zones." Using radio-activated triggers as each float entered a zone, the audience would hear float-specific music through the park's audio system. Each zone was between 70 and 100 feet long, and the zoned system meant that every person watching the parade would experience the same show, no matter where they stood along the parade route. Until 1977, some of the floats like the elephant train and the American flag finale were 2D and had to be pulled or pushed along the parade route. The Blue Fairy float was a 3D float, and ran until closing. The Big Bass Drum pulled by the Casey Jr. Engine, the Cinderella float and canopy, a Chinese dragon (later replaced by Pete's Dragon) and the circus calliope were all 3D. 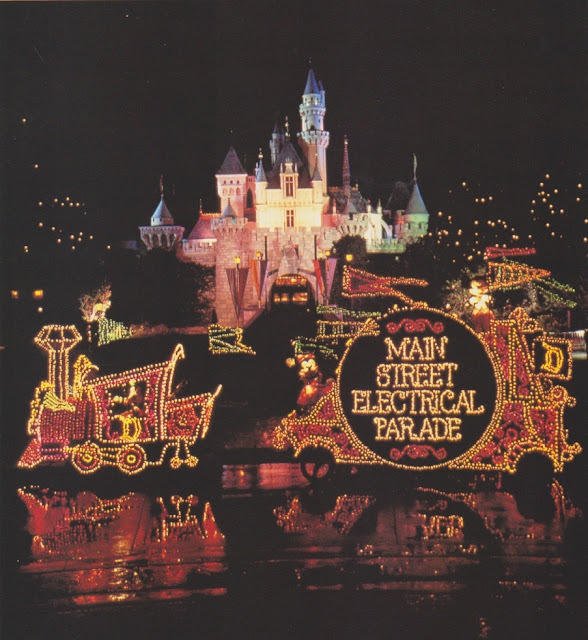 The original 1972 Disneyland Main Street Electrical Parade was designed by Hub Braden, an NBC Burbank Television art director, who had designed projects for Bob Jani, Disneyland Entertainment Division. The original parade units were built by a Chicago, Illinois, display company. 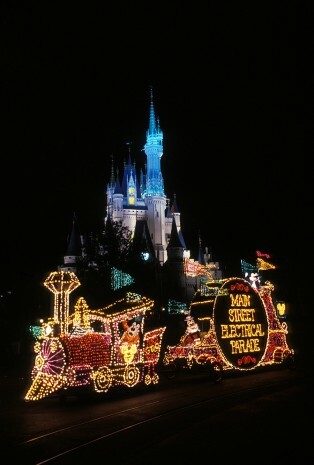 The Main Street Electrical Parade had counterparts of the same name and layout at the Magic Kingdom in the Walt Disney World Resort, which ran from 1977 to 1991. It was replaced by a similar parade called SpectroMagic, which ran from 1991 to 1999 and then reopened in 2001 and ended on June 4, 2010. 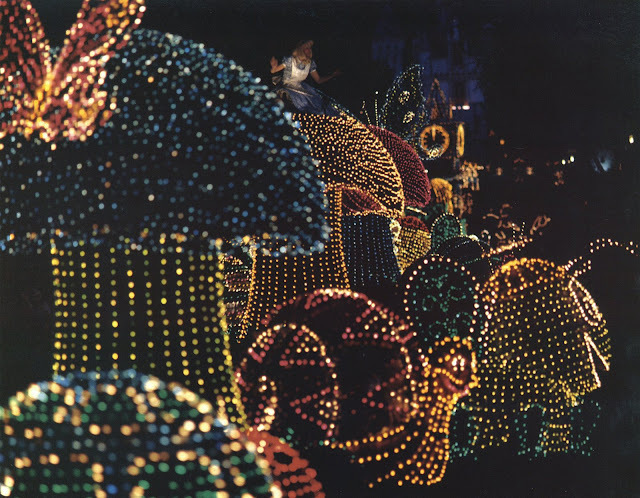 In 1992, the electrical parade from the Magic Kingdom went to Parc Disneyland at Disneyland Paris and ran there until 2003. 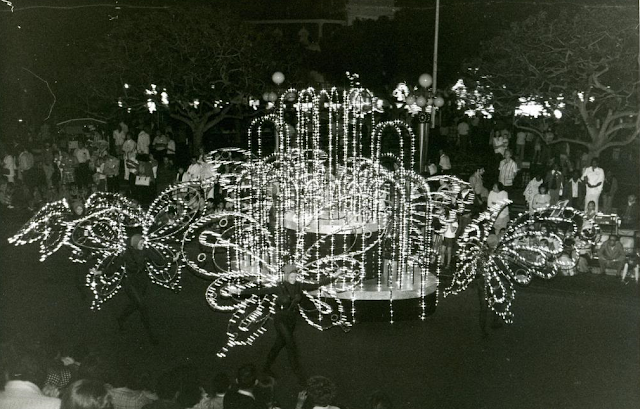 It was then replaced by Fantillusion, a nighttime parade from Tokyo Disneyland that had earlier replaced the Tokyo version of the Main Street Electrical Parade, which ran from 1985-1995. 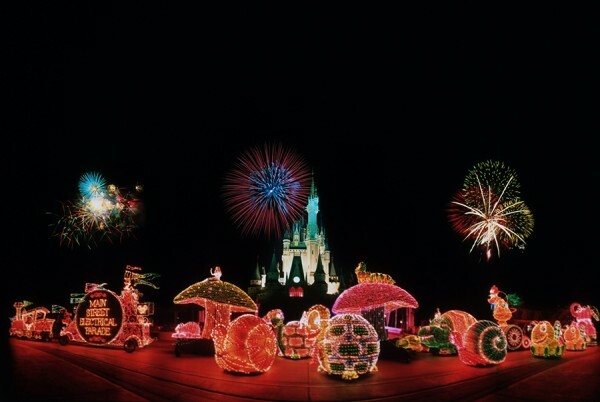 Tokyo Disneyland's current night parade, Tokyo Disneyland Electrical Parade: DreamLights began in 2001 and it was a return to the style of the original with updated new music and floats. The Main Street Electrical Parade closed at Disneyland in 1996 after a 24-year run. Light bulbs certified as having been part of the show were sold to collectors. 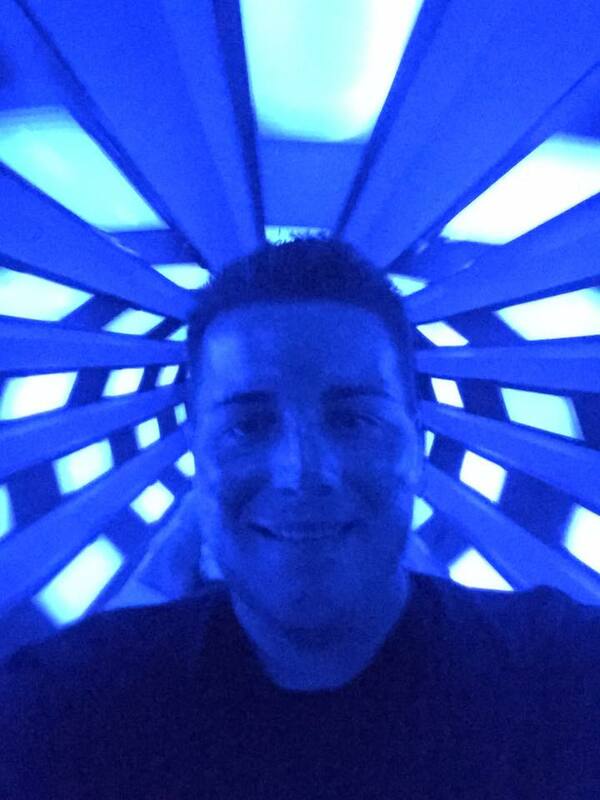 The replacement show, Light Magic, opened in 1997 and was an immediate failure. 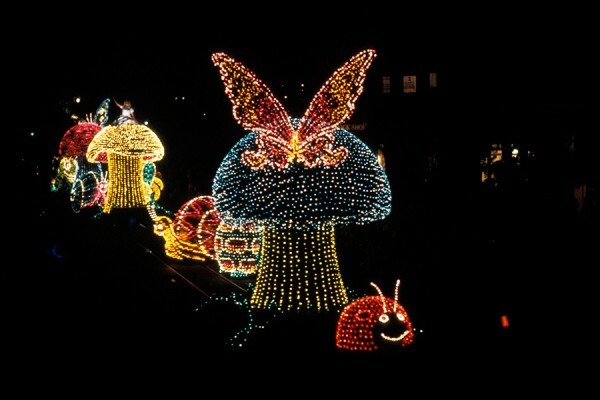 Disney quickly cancelled Light Magic but held off in bringing back the popular Main Street Electrical Parade. 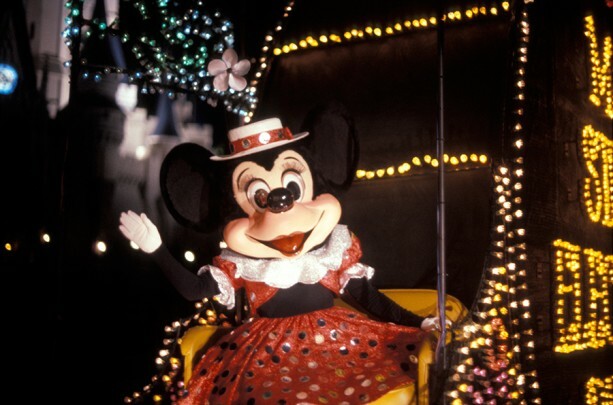 However, the parade was refurbished and appeared at the Magic Kingdom in May 1999 for a limited engagement, just in time for Walt Disney World's Millennium Celebration. The parade ended its run at the Magic Kingdom on April 1, 2001 and SpectroMagic was brought back the following day. 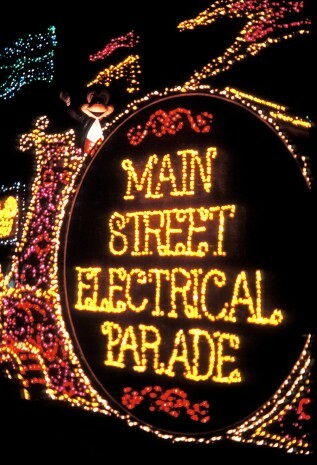 The Main Street Electrical Parade floats were then sent back to California for the parade's return to Disneyland. These plans changed after Team Disney Anaheim saw the poor attendance figures for the spring break season at Disney's California Adventure and feared that the park would fail to attract large crowds during the crucial summer season, unless they had a big draw. 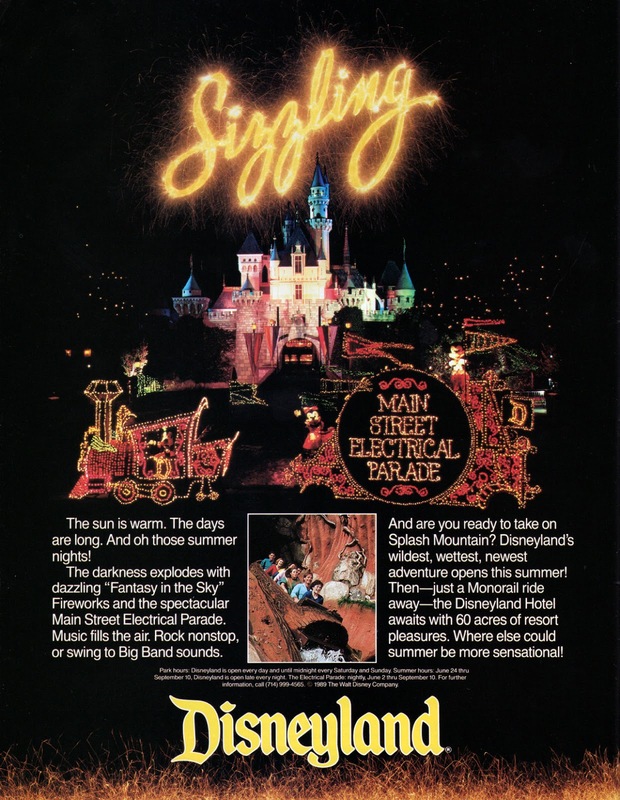 So, on April 25, 2001, Disney announced that the popular Main Street Electrical Parade would be coming to Disney California Adventure Park on July 2, 2001 in honor of the first summer of the park. The name of the show was changed from the Main Street Electrical Parade to Disney's Electrical Parade. 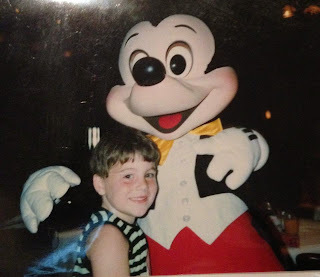 Most of the 1996 parade floats returned, except for the Pinocchio Pleasure Island section and Snow White diamond mine float, which were sent to Parc Disneyland at Disneyland Paris in 1997. The parade has been offered during summer periods and selected weekends. It finished a nine-month hiatus during the 2005 off-season at the Disneyland Resort, which allowed replacement of lights on all of the floats and alteration of wording on the drum to "Disney's Electrical Parade, Presented by Sylvania." On the 2008 Walt Disney World Christmas Day Parade special, Disney announced that a Tinker Bell float would be added to Disney's Electrical Parade, which would make it the first new float to be added to the classic parade in 20 years, since the temporary Mickey Mouse's 60th Birthday float in 1988. It was announced at a press conference on April 24, 2009, that the Snow White and Pinocchio units would be returning as well. Disney started testing updated and new units in late May 2009. Most of the major floats have had new LED pixie dust effects added to them. 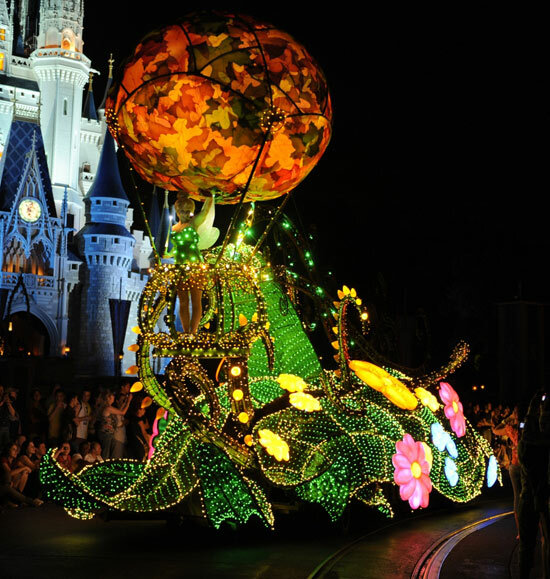 This parade, with the new Tinker Bell float replacing the Blue Fairy, made its formal premiere on June 12, 2009. California's caterpillar received a new digital face in December 2009. One of the original turtle floats from the Main Street Electrical Parade was on display at the "technology section" of the D23 Expo. Disney's Electrical Parade at California Adventure ended its run on April 18, 2010 and is currently running at the Magic Kingdom as "The Main Street Electrical Parade." 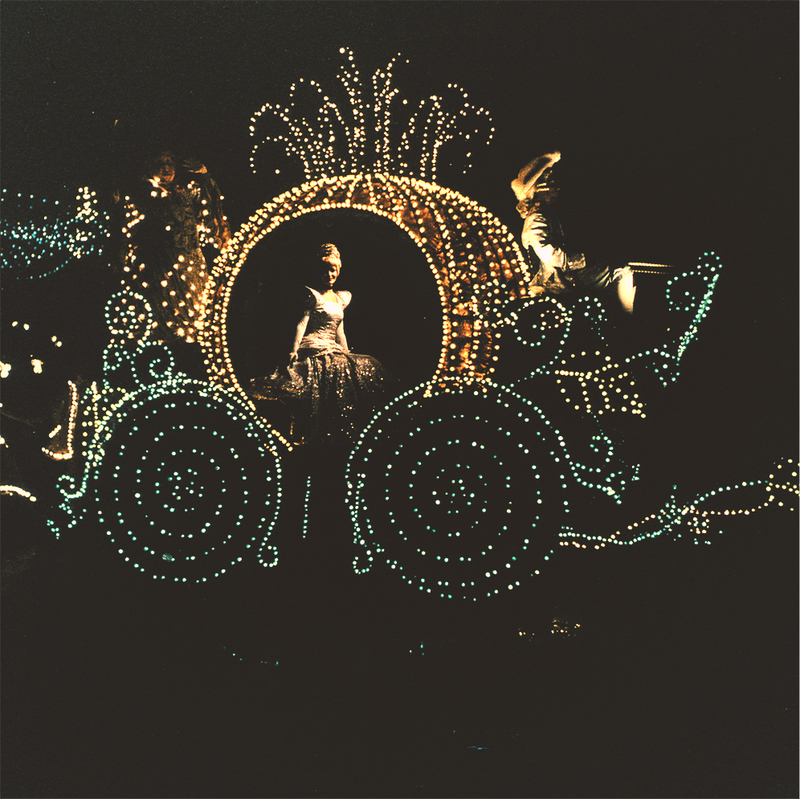 The Main Street Electrical Parade's underlying theme song is entitled "Baroque Hoedown." The original version was created in 1967 by early synthesizer pioneers Jean-Jacques Perrey and Gershon Kingsley. Originally, the parade's soundtrack had the same themes as the current recording, but was a different arrangement by Jim Christensen and Paul Beaver. 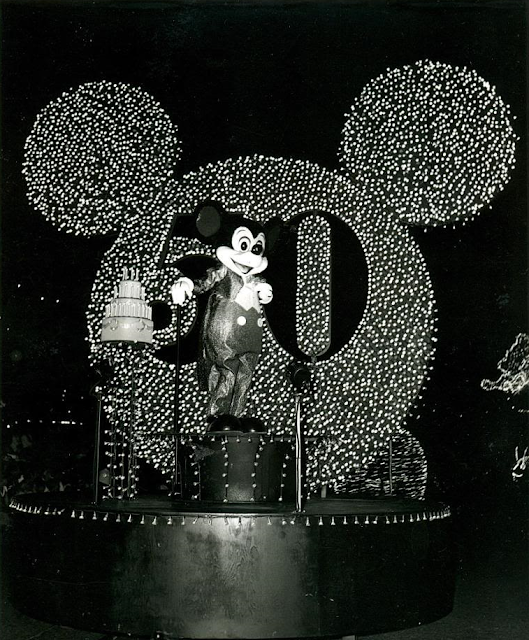 In 1977, it was updated and arranged by electronic music artist Don Dorsey and Jack Wagner at Jack Wagner Studio, which was used until January 2009 in Disney's Electrical Parade. The various float-specific counter-music heard throughout the parade quotes other songs. For example, the music for the Pinocchio units uses the melody from the song "I've Got No Strings" from Disney's Pinocchio film, while the music for the To Honor America units quotes several American patriotic songs. When the parade returned to Disney's California Adventure in June 2009, it began using the updated, orchestrated DreamLights soundtrack from Tokyo, but with changes made as certain floats in the California parade are not included in the Tokyo parade. The soundtrack for the current version, the 2009 version of Disney's Electrical Parade, The Main Street Electrical Parade (currently running at the Magic Kingdom), as well as Tokyo Disneyland Electrical Parade DreamLights version were arranged, programmed and performed by Gregory Smith. Mr. Smith also arranged the music for Disneyland's Remember... Dreams Come True show (which also contains a snippet of the original Don Dorsey arrangement, which then concludes in a grand orchestral finale arranged by Mr. Smith) as well as Magical: Disney's New Nighttime Spectacular of Magical Celebrations fireworks shows. Tokyo Disneyland Electrical Parade Dreamlights- Show Mix Edition (2001) - features two tracks, the first features character voices, sound effects, and the parade underliner and second one is just the orchestra soundtrack without character voices, sound effects, and the parade Underliner. Tokyo Disneyland Electrical Parade Dreamlights ~Christmas~- During the Christmas season at Tokyo Disneyland, the Electrical Parade gets a new soundtrack, it is mostly the same soundtrack with added Christmas songs, mixed in with the theme music. Features full parade with Character voices and sound effects. 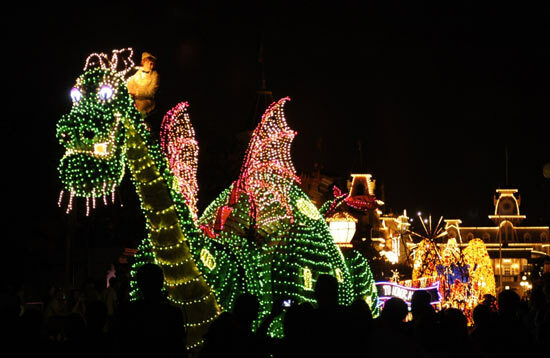 Tokyo Disneyland Electrical Parade Dreamlights (2011 Renewal Version)- features the revised 2011 version, includes the new Aladdin, Tinkerbell, and Toy Story Units, and a tweaked Pete's Dragon Loop. also includes Character voices and Sound Effects, and No Underliner. Don Dorsey used the following synthesizers to create the soundtrack: Moog Model III, Mini-Moog, Steiner-Parker Synthacon, Oberheim 8-voice, Sequential Circuits Prophet-5, Fender Rhodes Piano, New England Digital Synclavier II, Bode 7702 Vocoder, Roland MKS-80 Super Jupiter, Yamaha DX7 and Yamaha TX7. Jack Wagner provides the synthesized vocoder voice for the intro and outro to the parade. Don Dorsey took over after Wagner died in 1995 by adding the word "Disney" to the introduction and outro of Disney's Electrical Parade in Disney California Adventure Park. When the parade visited The Magic Kingdom in 1999, Bill Rodgers provided the synthesized vocoder announcement. While the original soundtrack is played solely on synthesizers, the Tokyo Disneyland version utilizes a full orchestra with adult, teenage and children choirs in addition to harmonies and synthesizers. This version also includes Character voices in both English and Japanese. This version was also orchestrated, programmed, conducted, and performed by Gregory Smith. During the Christmas season at Tokyo Disneyland, the Electrical Parade gets a new soundtrack, it is mostly the same soundtrack with added Christmas songs, mixed in with the theme music. The version of Disney's Electrical Parade at Disney California Adventure Park and current Main Street Electrical Parade at the Magic Kingdom utilizes much of the soundtrack created for DreamLights, with new loops created for the Cinderella, Pinocchio, and To Honor America units. However, the new soundtrack retains a more electronic sound than that of Tokyo's in that many of the orchestral parts of the DreamLights soundtrack have been replaced by synthesizers in this version.A new loop was created for the Dumbo sequence, however, this sequence was cut from the parade.